The Final Communiqué issued from the Conference also recognised the need for the international community “to support any dialogue that Somaliland and the TFG or its replacement may agree to establish in order to clarify their future relations.” We believe that this clearly supports our vision of a dialogue between two separate entities, which treat each other as equals. 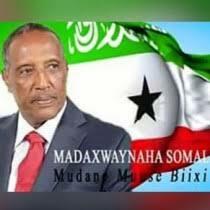 It will, I hope, mark a starting point for constructive discussions about our relationship with Somalia, including an acceptance by the authorities in Mogadishu that our voluntary union failed long ago, and that the future stability of the region is best served by accepting Somaliland’s independence. (Minister of Foreign Affairs and International Cooperation, Republic of Somaliland).